Expanding awards organization 10 Best Franchise has released its latest ranking of the best franchise businesses for February 2016. The top two finishers were H&R Block tax services in Kansas City, MO, and fast food giant Hardee's in St. Louis, MO, for its atypical menu offerings, while third place went to the upscale pub restaurant franchise Growler USA. 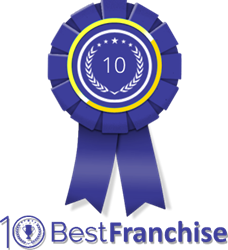 10 Best Franchise is excited to announce the Best Franchise Businesses Awards, which is a new monthly awards program designed to recognize excellence in the franchise market. The awards go to franchise businesses that "consistently display an ability to meet client requests and progress the industry by using innovative strategies and techniques," according to 10 Best Franchise, an industry-leading resource for accurate information concerning franchise businesses. The experienced 10 Best team evaluates and reviews the market and reports regular news and updates so that entrepreneurs and business administrators can make important decisions based on accurate and updated information. As of February 2016, the top award for the leading franchise businesses goes to H&R Block out of Kansas City, Missouri. H&R Block offers tax preparation services for local, state and federal taxes. The franchise employs professionally-trained consultants, and it offers convenient locations across the country, as well as e-file online services. H&R Block's website also offers free simple federal return filing and office locators. According to the 10 Best team, H&R Block makes it a goal to help customers get the greatest refund possible by taking advantage of all applicable deductions and tax credits. The number two franchise award goes to Hardee's out of St. Louis, Missouri. Hardee's is an atypical fast food restaurant franchise, and the award recognizes Hardee's for its high quality of food. As a top franchise, Hardee’s often offers larger than average meals with thicker meat and hand cut fries. Hardee's also offers an Alternative Options low-carb, gluten-sensitive menu, and its website offers exclusive deals and coupons, as well as menu and nutritional information. The number three franchise award goes to un-and-coming Growler USA, a leading franchise that offers regional craft brews, wine, non-alcoholic beverages and award winning cuisine. An upscale, pub-style restaurant, Growler USA has a growing number of locations with plans to reach over 200 nationwide locations within the next three years. Their establishments promote social interaction, and the 10 Best Franchise team recognizes it for its significant growth in popularity as well as its innovative use of proven experience and leading edge technology in food and beverage services. For more information, visit http://www.10bestfranchise.com.